Welcome back to what is shaping up to be the last episode of YATS for 2013. 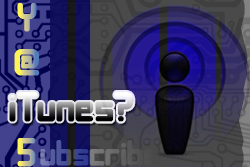 Mat Lee here with some show notes for episode 81 of Yet Another Tech Show. Join Mike Rothman, Nick Carroll, Richard Hay and I as we talk about the latest tech news of the week including some holiday tech gifts,, Boston Robotics and Google, Target gets hacked, along with the Macbook camera, the Surface Pro 2, the LG Chromebase, Sprint might buy T Mobile, and so much more. Thanks for checking out the show, and be sure to stay up to date with YATS over the holiday vacation on the YATS Google+ community. We’ll see you in Vegas! Welcome to episode 75 of Yet Another Tech Show. 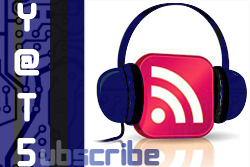 This is the technology podcast that’s not just your typical talking heads of tech reporting. We are lovers of tech that strive to bring you the tech discussions in an informative yet entertaining delivery. Yes. We have fun as we talk about the latest tech stories. This week the panel includes myself (Ant Pruitt), Mat Lee, Larry Press, Mike Rothman and Nick Carroll. Be sure to follow us online by clicking our names to see our social streams or go to the crew page to read more about us. We also have a brand new YouTube channel just for YATS! Be sure to subscribe here. There. Intros out of the way, let’s get into the show notes.